Hamas won the election in Palestine this week, surprising everybody except the Palestinians. Amid widespread commentary in the media, nobody said that Hamas stole votes and nobody claimed any election fraud. It was a clear-cut, straight-up win for this militant faction, which is formally pledged to the destruction of Israel. Aside from the danger of this pledge, consider its lunacy: Israel actually does exist, and yet Hamas says it does not. The Jews have lived in the Middle East since the beginning of history and long before the time of Mohamed. It must be their current independence that is so galling to the Arabs, and the Jews haven't been nice about it either, like they were in the past when they said "Excuse me for living," and their Arab masters sometimes found them to be useful, as long as they paid heavy taxes. Now Israel exists independently – as plainly as Ariel Sharon's boots on the ground in the Negev Desert. Consider Sharon himself -- he lied to many people, but he never to lied to himself. He played the game of illusion throughout his political career, but he never believed those illusions. Sharon knew who he was, and he knew that his own life was no illusion. His was a life of sheer, exuberant, determined existence. Sharon’s life was quintessentially a fact – not a dream, or theory, or fantasy. And then comes Hamas, spawning suicide bombers, those evil viruses walking into restaurants and bus stations, those poor fools who were willing to deny their own existence in order to deny the existence of other people. But the Hamas strategy of suicide bombing did not succeed. In response to it, Sharon did not put up a smoke screen or a mirror, or call for a conference in order to discuss the issue. “What issue? What is there to debate?” Sharon might have exclaimed. He was not a religious man, but he surely knew the verse in the 43rd chapter of Genesis, when Jacob said to his sons that it is better “to live and not die.” Not to live well, or to live righteously, or to live in freedom, but first of all to live. Thus Sharon in no way improved the culture of Israel, but instead insured its continued existence. In order to do that, he erected a concrete wall between Israel and Palestine. You can call this concrete wall a symbol, yes, but a symbol of what? Of the division between two peoples? Perhaps, but I would say this concrete wall is not a symbol at all. It was not erected to be a symbol or to send a message, but only to keep suicide bombers out of Israel, and it worked. 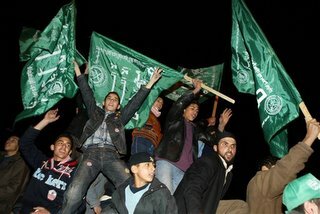 So Hamas redirected itself and won the election in Palestine. This was a significant step closer to reality for Hamas, to go from suicide bombing to winning votes. Palestine cannot be different than America in this respect -- that all politics are local. Hamas cannot have won the vote based on their insane platform; they won because Palestinian voters could -- I hope this so much -- be making a pragmatic choice. I am hopeful -- this is subjective, I admit -- but I actually think that Hamas might actually choose to govern, that is, to mend sewers, build schools, and do those other mundane chores. Lord knows, Yassir Arafat never governed. Palestine. He never had time for it, he spent his life chasing twisted rainbows, and sold those dreams to his own people. Arafat built illusions, but he did not build a nation. Hamas might be different. Is Hamas beginning to realize that denying the existence of other people is not a recipe for nation building? If Hamas chooses to govern rather than to pursue disastrous fantasies, then someday Palestine will exist as an independent state. Palestine will come down from its lunatic state and begin to take out the garbage and wash the windows and complain and suffer like the rest of it. And the Palestinians will still be mad at the Jews who, after all, can be quite difficult to live with. Yet Israel exists. Ariel Sharon lies on his death bed. He said, of the Palestinians, that he never trusted them. He said, of peace, that he had no hope for it. But he is leaving the possibility of trust and hope and peace for the people who come after him. 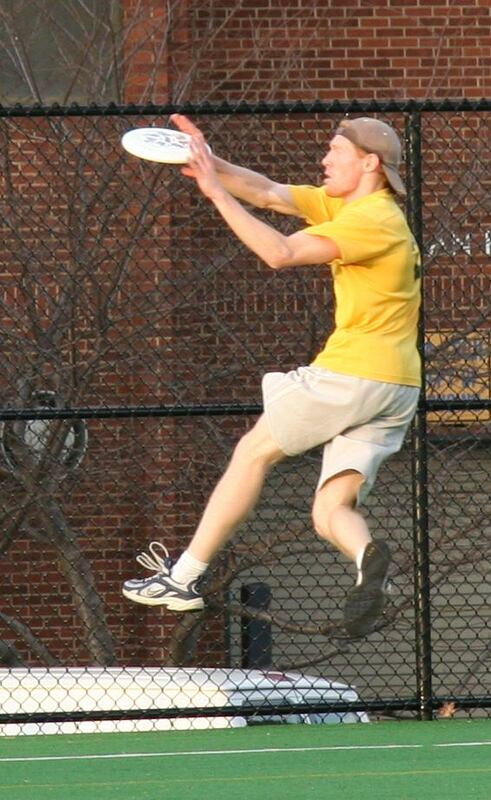 That's me, making a leaping catch for the frisbee -- not. But I'm going for a game tomorrow morning (Sunday) up by San Marcos. I like to play frisbee, I just can't jump like that fellow in the photo, but I have my own graceful style. I am not a klutz. I always carry a frisbee in the trunk of my car, just in case. I also carry two mitts and baseball in case someone wants to play catch. Although we are getting off the topic -- I keep a lot of things in the trunk of my car: a tin whistle, several books. Right now I'm carrying Tolstoy's War and Peace, and an English-Hebrew pocket Torah -- these are both really heavy going, but in no way indicative of my current mood. It's just that -- what if you get stuck someplace -- well, I have a complete entertainment kit. And tools -- jumper cable, 3/4 single bit axe, short-handled shovel, two LED flashlights, and one cop-style Maglite, two sleeping bags, and a small foam pad, a propane cook stove, several quarts of oil, socket set, various gardening tools, an electric sander, power drill, skill saw, circular saw, a tool box full of things -- like two pairs of Visegrips and such. I have rope, twine, wire. A rain coat, a wool hat. In the back seat of my car, I have few more things -- photos of the marriage to my second wife, a stapler, a scrub brush, masking tape, duct tape -- a few more things, but I'm in the house right now and I can't remember. 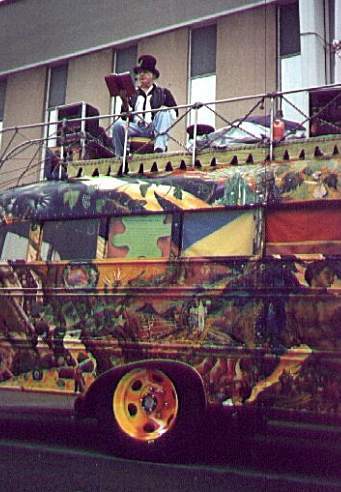 The first time I met Ken Kesey, it was in February, 1967. Mike Mikolas and I were hitchhiking from Toronto to San Francisco, by way of Mexico City. We were headed for the Haight-Ashbury because we had just dropped out of college. Mark was very attached to a book called the "Art Of Loving" by Erich Fromm. For that reason Mark wanted to go to Mexico City, where Fromm was living at the time, and have conversation with the great man. That's how we got to Texas, coming down from Toronto. Anyhow it was warm there and we had friends-of-friends who were students at Rice University, so we hung out there. Ken Kesey and the Merry Pranksters, riding on their famous bus -- but it wasn't yet famous, and I had never heard of it or thought of it until I met the man himself -- Kesey and his gang, who had been invited by our student friends to make an appearance on campus. It was quite an event or non-event -- you really had to be there. I don't want to bore everybody with this 60's crap. I met Kesey twice after -- once when he was in Chicago, I think it was about 1976 or 77, and he came to see the King Tut exhibit. 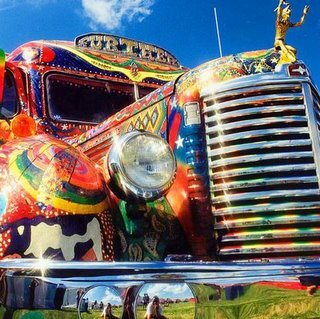 The 60's were over and Kesey was just a guy who lived on a farm in Oregon, only he had wide-ranging interests. And I had just gotten married, gotten a job, and my wife was with child. We were living in Evanston, a suburb just to the north Chicago. 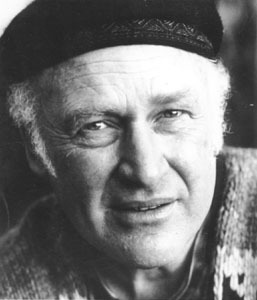 Kesey was a man of the West, and he said he would never have come to the Midwest, if it wasn't for King Tut. The third time I met him -- I'm sure there was a third time, but I can't remember. 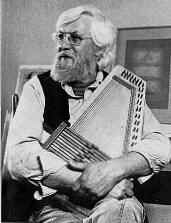 Robert Sund was a poet who lived in the Skagit Valley -- a good friend of mine. Robert had a shack out on the Skagit River, a net shed up on pilings that he fixed up for a home. He got there by rowboat. One time, about 1980, he took me for a row in his boat around Ika Island, and then we went to his shack for tea and a lot of laughs. The shack is still there. 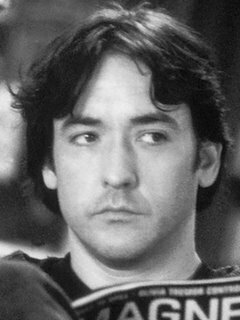 He died in the fall of 2001, shortly after the planes struck the Twin Towers in Manhattan. Robert was failing and in the hospital, but he knew about it from watching the television. I think he was glad he didn't have to deal with it. It's my turn. 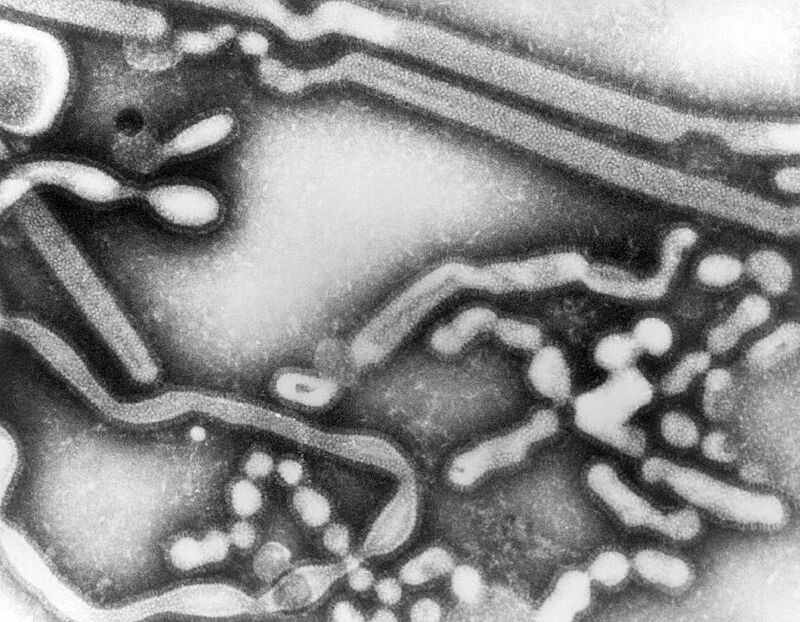 I have the flu. This morning I felt like a dog got run over by a truck. I showed up for work at 8 a.m., but they didn't like what they saw. In spite of that I actually got something done -- wrote a business review and had it finished before the 10 a.m. staff meeting. But that was it. I went home at 11 a.m. and went back to bed. By 5:30 p.m., after some good rest, I felt almost human again. At 6:30, I went to my evening photo assignment and performed in an acceptable manner. I even felt a little lively, so I walked three blocks to Squeak's, our local convenience store, and bought a 7UP. Ginger ale is the best for being sick, but 7UP is all right too. Conservative Party Leader Steven Harper will become the new Prime Minister of Canada, after his party's victory over the Liberals in Monday's election. Paul Martin, the current Prime Minister and Liberal leader, will step down. A national election -- eight weeks from start to finish and using paper ballots -- we should be so lucky here. 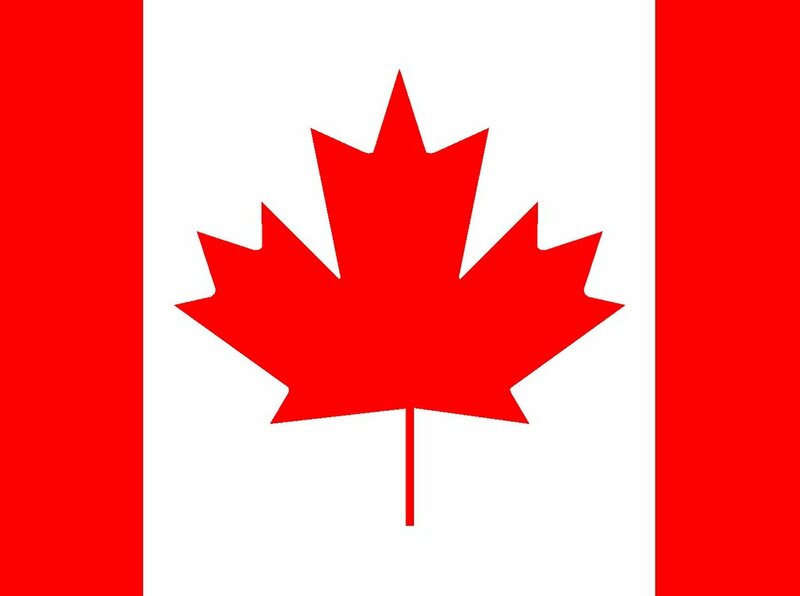 I went to college in Canada, from 1964 to 1969, at the University of Toronto, so I consider myself to be semi-Canadian, after five years' residence. However, I have not been to Canada since 1993 when I attended a college reunion, so I'm kind of rusty. Just a brief comment on patriotism: Is it possible and is it good to love more than one country? Yes, it is possible, and it is good. If you have two or more children, don't you love them all? But that's not quite fair. America is my home and comes first in my affection and loyalty, but Canada is a good neighbor and a place where I have been especially welcomed. I baked bread this evening after work. I started at 7 p.m., and I finished with four good loaves at 10:45. While the dough was rising I watched "High Fidelity" a second time. Then I like that song so much -- in the movie -- that I went to iTunes and bought the album -- "Dry the Rain" by the Beta Band. It's easy to listen to. I sent an email to Aurielle. If you look on the lower left column of this page, you will find "Links" and under that it says Aurielle's blog, if you would like to read it. She writes personally about her life. She's shy and doesn't want attention, but she puts it on the Internet -- that's not terribly complicated.... I can understand that. 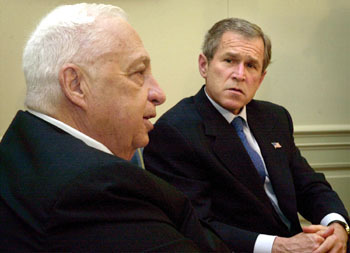 It is not really useful to compare Ariel Sharon and George Bush. First, they are superficially similar -- conservative, tough, inclined to make a military response. But let's look at this picture -- first of all, it's not fair to George Bush, because the camera lies. The camera is a tool wielded by human beings, and human beings tell lies. In the image presented here, George Bush is puzzled, inquisitive, and respectful. He looks up to Ariel Sharon who is 18 years older. The image of Ariel Sharon shows him to be calm, strong and substantial. Sharon evacuated the Israeli settlements in Gaza this year despite a lifelong public commitment to continue their existence among the Palestinian population. Why did he do this? To be loved, to be popular, to be deemed peaceful? No, for none of those reasons. Sharon forced the evacuation of the Gaza settlements because he believed it was to the strategic advantage of Israel, and for no other reason. Sharon's "change of heart," which was nothing of the kind, is the action of a man who has no attachment to his image, and had no attachment to a position that had become untenable. This is a kind of truth -- that a nation, Israel, exists and serves its own interests. I would not say this of George Bush. He is not free of his own image, and he cannot take a detached view of his own position. This is not good. I don't know this man -- who he is or who he works for. Bush is far less substantial than Sharon. He looks at Sharon in this photo, but can he learn? I am sorry to have such a small picture, but it is the only one I could find. I actually bought bean & jalepeno tamales here today. I was driving up and down Culebra Rd. in south San Antonio, taking photos of the signs in front of the stores. After cruising this road, JJTamales was my most careful choice. Tamales are different than other kinds of Mexican food -- they are much more important. You can get a good taco almost anywhere, but for tamales, to eat them and have good digestion, you really need to know somebody. This is why I was so careful to choose JJTamales -- I could have made a mistake! Consquences that would effect my entire future! Even so, it was risky -- I don't know anybody at JJTamales. I was a stranger. One dozen tamales, plus a small container of pico de gallo, cost $6. However, because of the importance I attach to a personal connection in the pursuit of tamales, I placed a call to Mount Vernon, in the Skagit Valley, in Washington state, in order to reach my friend, Kathy Woelke, who is Hispanic, despite the fact that she does not speak Spanish. Kathy spent her earliest years in San Antonio. Her mother lives here, along with her sister Ruth. Kathy told me that her two aunts, Betty & Bernice, own and operate B & B Tamales somewhere in San Antonio, but she couldn't say where. This would be the necessary tamale connection, but it was not available to me today. Instead I found JJTamales. I bought tamales and ate them well. 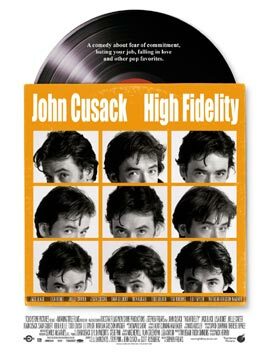 HIGH FIDELITY starring JOHN CUSACK. This is the perfect lonely guy's movie. It takes place in Chicago. 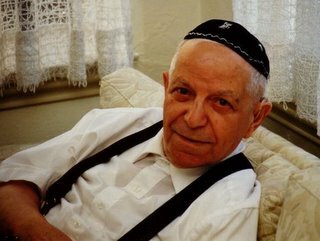 He was my rabbi for five years when I lived in Cambridge, Massachusetts, and attended Beth Shalom, a Conservative synagogue, also known as the "Tremont Street Shul." I'm not Jewish, so people sometimes asked my why I went to the shul so often. That's a good question, but a better question is this: Was it a good thing to do -- to devote so many years to a study and participation in Jewish life -- or was it a bad thing to do? The answer is clear -- it was a good thing to do. And so why I did it doesn't matter nearly as much. In fact, this is one of the things I learned from Rev Moshe. He was always glad to see me, but he never asked me why I came. "It's a good day to die," he said, before he was executed at San Quentin prison in California at midnight last night. This man deserved to die for his crimes. The judgment against him was sound, and we all ought to, quite seriously, judge each other's actions, but I would not execute this man, or any other. I am opposed to the death penalty, now legal in 38 states, including Texas, where I live. Clarence Ray Allen is dead now. We will kill many more Americans today simply from carelessness, from a failure to pay attention, from meanness, from simple mistakes, or even from the best of intentions. Many more Americans will die today for God's own reason, and we will have no idea why they were taken unexpectedly. Others will die, after a long and good life, and that will make sense. Isn't it good when it makes sense? Isn't it good when it seems fair and just? Isn't it our duty and daily struggle to make sense of things? Can we not develop our discernment between good and evil? We are bound to make judgment and to say that this action was right and that action was wrong. But our ability to make judgment is always subject to human frailty and we ought to approach absolutes with humility. It is possible to have a good and just society without the death penalty, and so I oppose it. She will make a good president despite this faulty logic. An equal number of men and women in the cabinet? That is the right way to conduct a square dance, with four women and four men, but not a government. I like her because she's pretty and has very good skin and a very cheerful smile. So, you say, I ought not to judge her by her looks, but by her character and the substance of her actions. Yes, this is right. 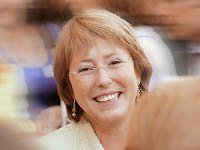 But it is Ms. Bachelet who is conducting government like a square dance, so naturally I will choose the prettiest partner. I'm not sure that this is a good photo of Archer City, but it's the best I could find. 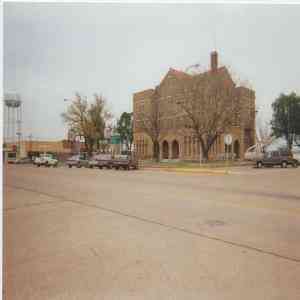 Pictured is the Archer County Courthouse, looking across the wide main street, which is Texas Highway 79. Archer City is about 20 miles south of Wichita Falls -- making it nearly 70 miles from Vernon -- talked about in previous posts. Archer City has less than 2000 inhabitants. It is the home town of Larry McMurtry, the one he dramatized in his first big screenplay -- The Last Picture Show. As McMurtry told his Archer City neighbors again and again -- "The Last Picture show was a MOVIE!" and a work of fiction. Nevertheless the citizens of Archer City were highly incensed at the negative portrayal of their town in McMurtry's work. Years passed, McMurtry wrote the screenplay for Terms of Endearment and wrote Lonesome Dove. He became wealthy. He moved back to Archer City and by this time, the locals people were glad to have him back. McMurtry, who had been a book collector and seller before he became a successful author, began to buy a lot of books -- because he could afford to. By a lot, I mean close to 500,000 books which are now housed in four buildings in downtown Archer City. All for sale. 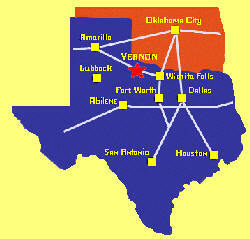 Although Vernon is nicely situated in a very spacious region, it is a little too close to Oklahoma for my taste. 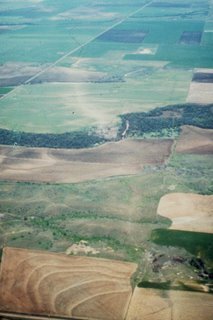 The Red River forms the boundary between Texas and Oklahoma, fifteen miles to the north of Vernon. The floodplain and river-course of the Red is rough and wild, strewn with cottonwood logs and roots, and muddy holes, and boiling water under flood. The Red River is strong, but not pretty. 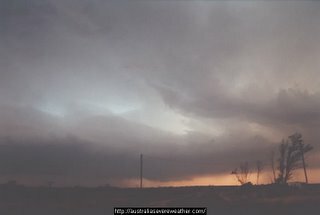 The sky in Vernon, Texas, is big. In fact, when you are there, you are standing in the sky; only you're feet are on the ground. The culture of Vernon is trend-free. Trends, like a California rain storm, dry up as they come across the plains, leaving Vernon untouched. Vernon simply is. Vernon is also the birthplace and hometown of Roy Orbison. Vernon, Texas, is the county seat of Wilbarger County, located 56 miles west of Wichita Falls on U.S. Hwy 287, which continues on west to Amarillo, almost another 200 miles that way. Farms and ranches: wheat, cotton, and cattle. Now suffering dry for lack of rain, and fear of wildfires in the tinder dry brush. But normally a dry climate, low humidity, sharp peaks of heat in June, July, and August, but cooling in September. Altitude, 1200 feet. The population of Vernon is about 11,000 and has been in a slow decline, with an aging population. 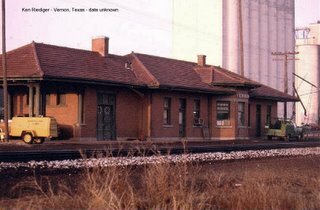 However, Vernon does not have the appearance of being down on its luck, or "seen better days." The town presents a quiet and enduring strength, and I believe it has a future. I was in Vernon, Texas yesterday, some 350 miles northwest of Austin. Vernon is out in the plains, the Great Plains, the wheat fields, and the big sky. It is just 50 miles west of Wichita Falls. No trees. No trees. I thought I would not like it. But I was wrong. To see the earth unadorned, in plain view -- to see the true shape of our planet -- this infinitely lovely curve that shallow sophisticates call "flat" -- this was quite fine. There are always more oranges. FALCON HEIGHTS, TEXAS – Falcon Heights is on the Rio Grande River, 150 miles upstream from Brownsville. Roma, the nearest town with a population of 5,000, was founded in the 1700s. Marlon Brando and Anthony Quinn starred in Viva Zapata, which was filmed in Roma, using the historic adobes and wrought-iron balconies for scenery. It is a poor town, purely Spanish, hard by Mexico, which has always spilled over the border. I came to the Valley for several reasons relating to business, but I tell you honestly that those business reasons were only an excuse to spend some time here and breathe more easily than any place in Texas. I greeted my friend at the store in Roma. I had met him last year. He said, “Maestro, como estas?” I answered, “mas viejo y mas pobre,” and he laughed. In English this means “older and poorer.” In English it sound pathetic, like a man asking for pity. But in Spanish “mas viejo y mas pobre” is noble and tragic. It means “the story of my life has been squeezed like an orange to the last drop, and there is nothing left but a drying husk.” In fact, it is a proud thing to say, said of a man who loves life and holds nothing back, said of a man who embraces the bitterness of reality and death, said of a man you can trust. Falcon Heights, 14 miles up the river from Roma, is known the world over for bird watching. Tropical birds come here to the northern edge of their territory and temperate birds come this far south. The migrating birds from farther north wander through as well. I saw colorful and unusual species at a feeding station by the river. Cardinals were abundant. The sweet brown female cardinal enflames the male into burning red brilliance. Roadrunners spear and eat unwary sparrows feeding on the ground. Raptors dive for fat morning doves. 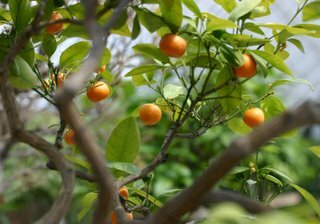 Orioles are so orange that they should name the fruit after the bird. The grackles come to the feeding station like a motorcycle gang and chase the daintier birds into the shrubbery. The bird watchers sit still with binoculars, cameras, and guidebooks, watching alertly, taking notes, and speaking quietly. 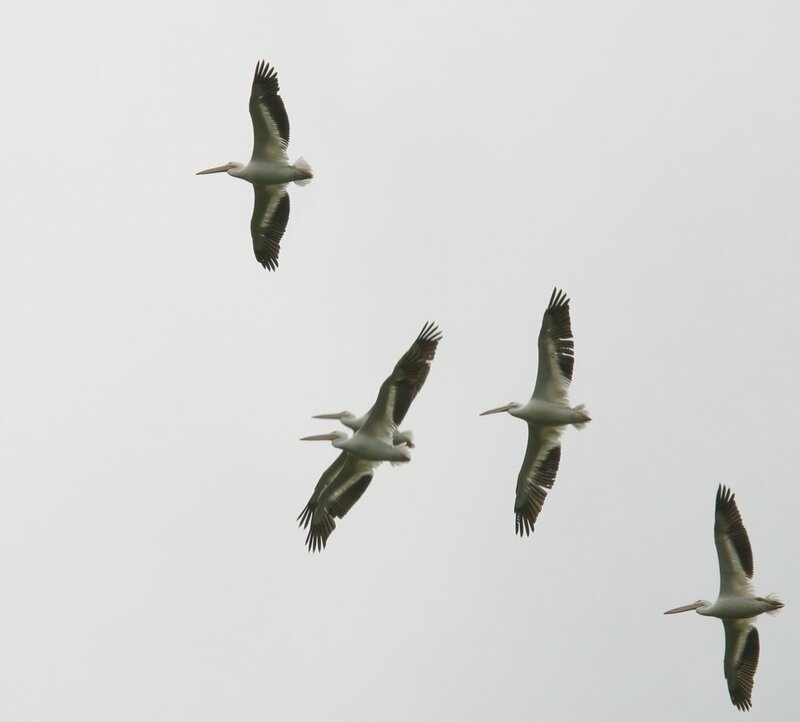 In addition to the overlapping territories of birds and vision seekers, there is an international border which is real to humans; and it is uneasy. The mass migration of people, young and brown, continues silently every night, crossing the river in row boats, or wading in waist-high water, ghosting through dirt tracks, dropping water bottles and plastic food wrappers as evidence to the Border Patrol. Where I’m camping these few days, I can see Mexico across the river and the bright lights of a Mexican town, also on the river, but facing north. I won’t go over there. I don’t want to leave America. I have my reasons. When the sun sets, I can see the jagged outline of the Sierra Madres more than 100 miles to the west. They must be towering mountains to be seen from here. It’s quiet. Very few people come here. During the day I look with my eyes and see nature, and then I go into town and talk Spanish, but at night I read books of history and drama, which take me to other places and times. Does this seem disconnected? Should I be studying birding guides and reading works of Latin American culture, to give a foundation to my daily observations? Perhaps. If I learned by night what I had seen by day, that would be a good thing and a productive use of my time. But for reasons that are important to me, I need to make connections to distance realms, because I feel that it is my responsibility to hold the world together. This is very big for my ego, to have this job of holding the world together, and to be going from one human being to another, across long distances of miles and years, bringing messages of love and conflict. Don’t tell me I am wasting my time in foolishness, because I know this is the right thing for me to do. That’s why I bring books with me when I am camping, because it is not enough to sleep on the ground and hug the earth, but because I can see the stars and the moon while I lie in my sleeping bag and I can feel the wind drifting. My spirit wants to go where the wind goes. Some more natural man might be content to know one place and to be rooted there, but that is not me. I read “Mistress to an Age” by J. Christophe Herold, a biography of Madame de Stael, who was an important figure in the history of the French Revolution and the rise and fall of Napoleon Bonaparte. Madame de Stael hosted a salon in Paris during those years, and it was said that most of the cabinet members, financiers, and leading thinkers of the day could be found at her mansion in the evening. Napoleon found her a threat and had her banished, but she replied, “All I do is hold conversations. I say what I think, and I write what I think. Why does this powerful man fear me?” But he was right to fear her, because her words lead to his downfall. I read “A Farewell to Arms” by Ernest Hemingway, his tale of World War I on the Italian front, taken from his experience as a volunteer ambulance driver in that conflict. It is not his fault that some of his very best sentences have become embarrassing clichés.